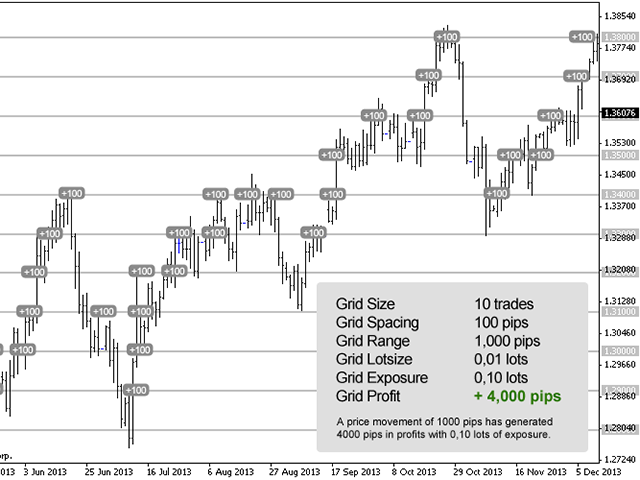 This is arguably the most flexible Grid Trading EA you'll ever find and can be used in a myriad of different ways. The profitability achieved depends on your ability to set wise price limits. Find reasonable price ranges to trade and enter those into the EA as anchor and limit prices. 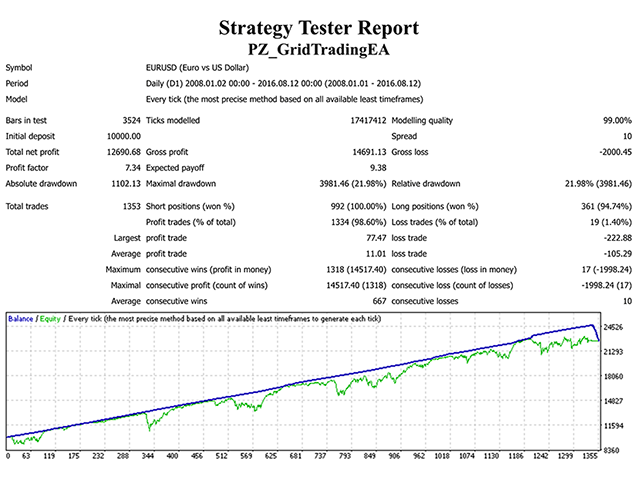 This practice concentrates the trading activity inside profitable price ranges. 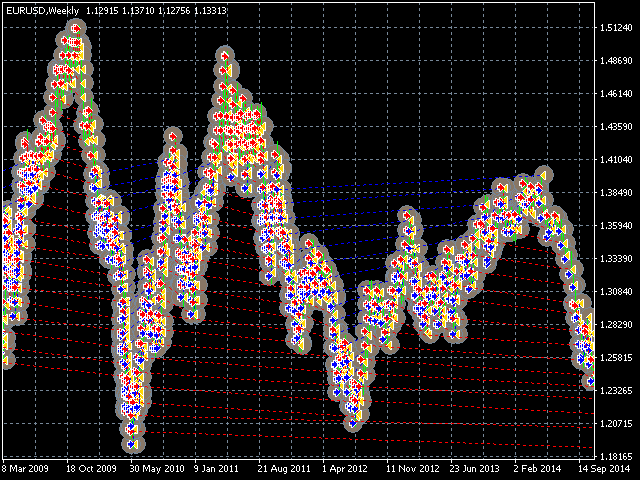 For instance, in EURUSD you might want to set a buy price limit of 1.35 and a sell price limit of 1.25. Use weekly and monthly charts to find these ranges. Trading Direction: It can be long, short or bidirectional. Bidirectional Profit Target: Combined profit target for the bidirectional grid. 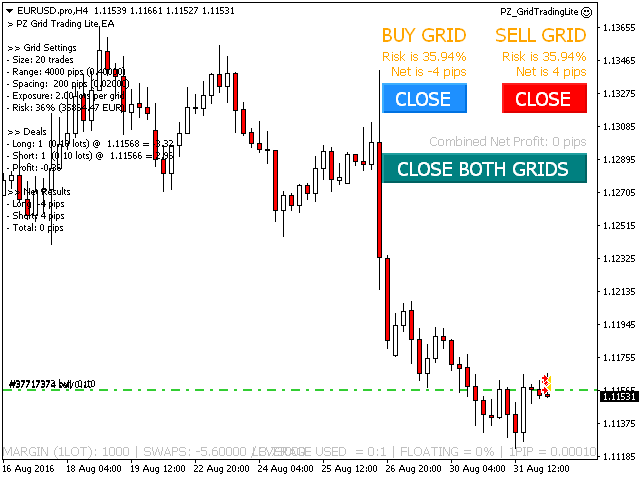 - Regular: The grid operates normally, adding and closing trades. - Paused: It sits idle. Trades are not placed not closed. 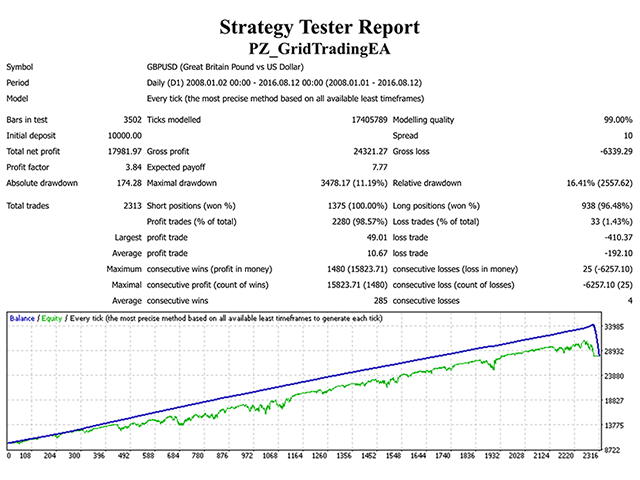 - Averaging: Tries to exit the grid at the average price of all trades. Trades: The amount of trades in the grid. More trades means more risk. Lotsize: The lotsize of each trade of the grid. More lotsize means more risk. Phase: The cash-in multiplier for the trades. Use it to amplify profits. Take Profit: The profit target to reset the grid. Use it when you want to contract the grid. Colors and sizes: This block of parameters hold visual related options.